B­Open @ EuroPython 2015: a system to track marine species, satellite image processing to support mine clearance’s procedures, image recognition algorithms for tourist guide application, and the solution of one of the most famous web code competion’s problems. B-Open will hold four talk at EuroPython 2015, showing a citizen science application for marine species’ monitoring, image processing’s algorithms to support mine cleareance or to recognize artworks, and the solution of a famous code shortening competition. 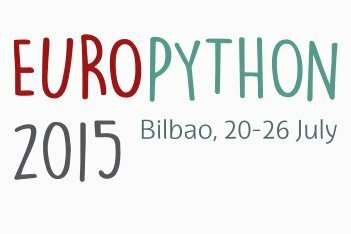 B-Open will be present to the EuroPython 2015, the largest Python conference in Europe, that will take place in Bilbao, from 20th to 26th of July. Alessio Siniscalchi will hold the talk “Tracking aliens with Python! A citizen science application”. The talk will show main infrastructure for collecting, managing and observation of non-native marine species in the Italian seas. The system, commissioned by ISPRA, is the first italian application using the citizen science paradigm, via mobile devices’ generation of geolocated segnalations. Giuseppe Cammarota will hold the talk “Activity Map from space: supporting mine clearance with Python”. The technical lecture will show methods for spaceborn data processing in order to monitor field’s activities and changes, and the application of such methods to support mine clearance activities. Involved technologies includes numpy, scipy and gdal. Francesco Nazzaro will hold the talk “Image recognition and camera positioning with OpenCV. A tourist guide application”. Francesco will show algorithms for real-time image recognition and observer positioning with respect to the recognized image, by using OpenCV libraries. Such algorithms will be easily applicable on wearable devices, like Google Glass, for picture galleries or museum environments. Alessandro Amici will hold the talk “Solving the web most popular code shortening competition in Python”. Alessandro already at EuroPython 2013 put its expertise on more talks about coding competions (for example Google Code Jam or SPOJ), with strategies aimed to minimize the elaboration time. This time in Bilbao he will show the space feature: a famous problem at SPOJ, whose solution is going to be really creative, about code shortening, i.e. to minimize the number of ASCII characters used to write down the code solution. At the time of writing, Alessandro’s is the shortest Python solution all over the world.